Composer in residence at the Center Henri Pousseur (2014), IRCAM (2015), member of the Academy of France in Madrid-Casa de Velazquez (2016/17), composer in residence at the Art Zoyd Music Creation Center, he is a member of the Académie de France in Rome-Villa Médicis for the year 2017/18. Juan Arroyo was born in Lima, Peru. He studied composition at the Conservatories of Lima, Bordeaux and at the National Conservatory of Music and Dance in Paris. He deepens his musical knowledge in formations like Voix Nouvelles and the IRCAM. 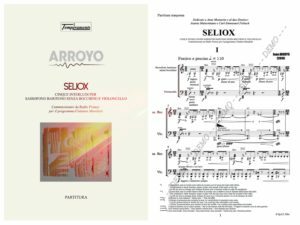 He has been guided by eminent composers such as Brian Ferneyhough, Heinz Holliger, Henri Pousseur, Mauricio Kagel, Michael Levinas, Luis Naón and Stefano Gervasoni. His music is rewarded with numerous awards such as the prize of the Salabert Foundation (2013) and the prize of the Academy of Fine Arts of France (2015). He receives prestigious commissions from the French Ministry of Culture, Radio France, Centre Henri Pousseur, SACEM, Proxima Centauri and Tana string quartet. His works are performed by eminent musicians such as Ensemble Intercontemporain, L’Itinéraire, Linea, LAPS, L’Arsenale, Regards, Sonido Extremo, Orquesta Nacional de Perú, Vertixe Sonora, Claude Delangle, Jeanne Maisonhaute, Antonio Politano and Maribé Charrier. His music is performed at great festivals such as Ars Musica, Cervantino, La Chaise-Dieu, Ensems and ¡Viva Villa! 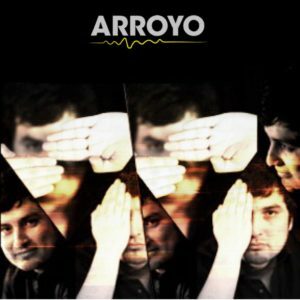 His work of composition is articulated around the Magical Sound Realism through the different techniques of sound hybridization. In fact, in 2014, he began a fundamental stage of his artistic work with the construction of new instruments capable of transmuting his sound, the TanaInstruments. This allowed him to hybridize the perceptual indices of sounds in order to reveal their evocative and irrational nature of their substance, sometimes making them enigmatic. The uniqueness of his work lies in these games of displacement, of movement between a causal listening and a reduced listening, passing through many intermediate states of perception. Juan Arroyo explores these different degrees gradually blurring the sources of sound in the manner of a photographer or cameraman, making us travel from the concrete to the abstract, from materiality to immateriality, playing with the configuration of its objective. 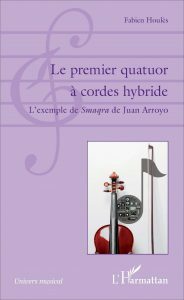 “Juan Arroyo has synthesized his work on hybridization around three fundamental areas concerning perceptual indices: gesture, space and timbre. Hybridization is at the heart of the scrambling of these indices. The expression “causal listening” encompasses different listening situations. 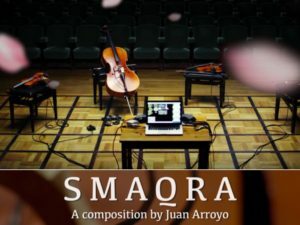 On the subject of his hybrid string quartet, SMAQRA, although the original musical object is part of a percussive timbre, the listening codes refer us to stringed instruments. The singularity and the interest of this work are these games of displacement, of movement between a causal listening and a reduced listening passing by many intermediate states of perception. Juan Arroyo explores different degrees by gradually blurring sound sources like a photographer or a cameraman making us travel from the concrete to the abstract, from materiality to immateriality by the game of the development of its objective. publicado en la primavera de 2017 por la editorial L’Harmattan.